Residence at The Cleveland Institute of Music. The Cavani Quartet is the winner of numerous awards including the Naumburg Chamber Music Award, the Cleveland Quartet Competition, an ASCAP Award for Adventurous Programming of Contemporary Music, and the Guarneri String Quartet Award for Artistic Excellence from Chamber Music America. The Quartet has been featured on National Public Radio’s Performance Today and St. Paul Sunday, NBC, CBS, ABC, and PBS television. Cavani Quartet recordings of Bartók, Dvořák, Schumann, Brahms, Erb, Chausson, Brouwer and Primosch are available on the Azica, Gasparo, New World, Albany, and Pantheon labels. 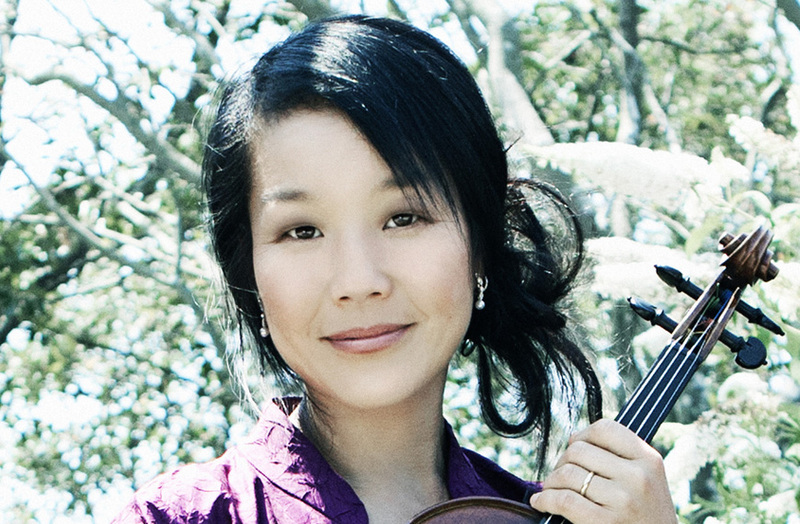 Ms. Sato is honored to have collaborated with many distinguished artists including Robert Mann, Alisa Weilerstein, Anton Nel, Stephanie Blythe, Charles Neidich, Itzhak Perlman, Franklin Cohen, and members of the Cleveland, Juilliard, Miami, Takács, Ying, Emerson, Borodin, Amadeus, St. Lawrence String Quartets. Music festival appearances and residencies include The Aspen Music Festival, The New World Symphony, Norfolk Chamber Music Festival, Kniesel Hall Chamber Music Festival, Interlochen Center for the Arts, The Perlman Music Program, ChamberFest Cleveland, and Phoenixphest. As a faculty member at the Cleveland Institute of Music, Ms. Sato and her colleagues have coached many outstanding young musicians in the Intensive Quartet Seminar, the Apprentice Quartet Seminar, and the Art of Engagement Seminar. Former chamber music students include members of the Jupiter, Daedalus, Aeolus, Miró, Fry Street and Afiara Quartets, as well as members of the Cleveland, St. Paul, Minnesota, Chicago, Detroit, and New York Philharmonic Orchestras. Ms. Sato received her musical training at the Cleveland Institute of Music and the University of Michigan. Her mentors include David Cerone, Paul Kantor, and Peter Salaff.